Nearly two years ago, I started looking for my first full time job abroad – well, my first full time, post-university job. period. I remember finding a listing for a teaching job in Kotor, Montenegro and googling a picture of the city. I didn’t end up applying for that job (I am, unfortunately, no good at teaching math), but I couldn’t get visiting this incredible city out of my mind. So, when a few friends and I found cheap flights to to Tuzla, Bosnia Herzegovina and decided to rent a car for a week, Kotor became one of our road trip destinations. We were in Kotor for 2 days. We spent most if our time in the old town and climbing up the fortifications of the Mountain of St. John. 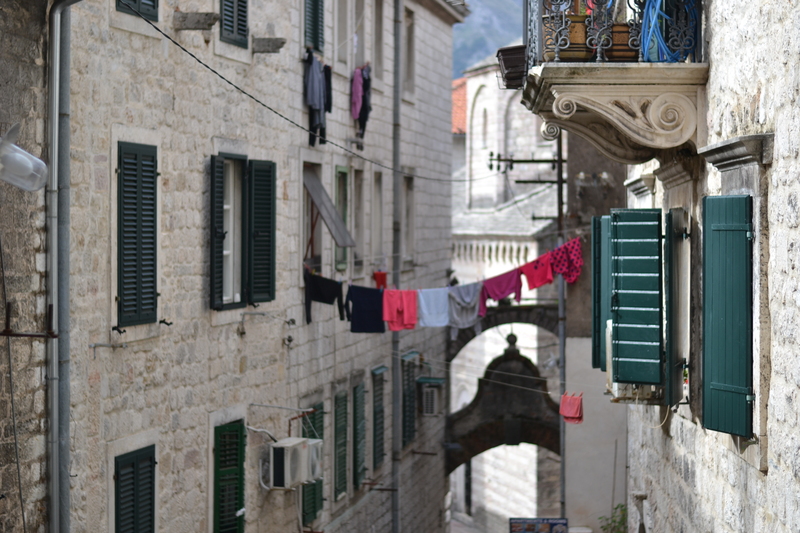 Being in Kotor feels like travelling back in time. When in the old town, you are constantly and completely surrounded by medieval stone buildings. Narrow, winding cobblestone stairs and streets are the only paths you can walk on. Ancient church bells ring on the hour, every hour during daylight hours. Since we stayed in an AirBnB in the old town, we were truly immersed in this medieval atmosphere. 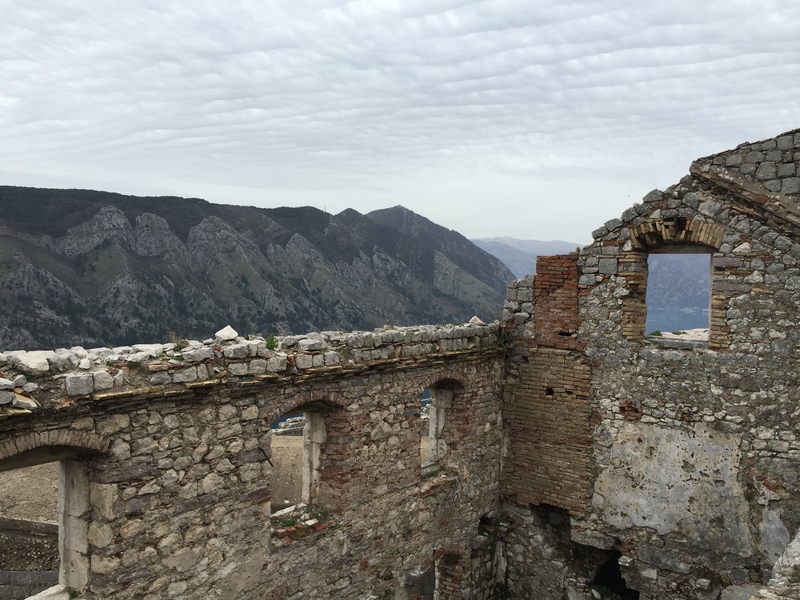 On our first morning in Kotor, we climbed the fortifications and mountain right behind old town Kotor. The hike shouldn’t take long (maybe just under an hour), but we had to stop every few minutes to admire the incredible views (as seen in the photo above). Since were travelling during off-season, we rarely encountered other people, and the silence and calmness among the ruins combined with the heavy, humid air made me feel as if I were another world. Near the top of the mountain, we explored the corridors, stairways, and rooms of the ruined fortress. Our initial plan to visit the National Park on our way out of Kotor didn’t work out due to a thunderstorm. 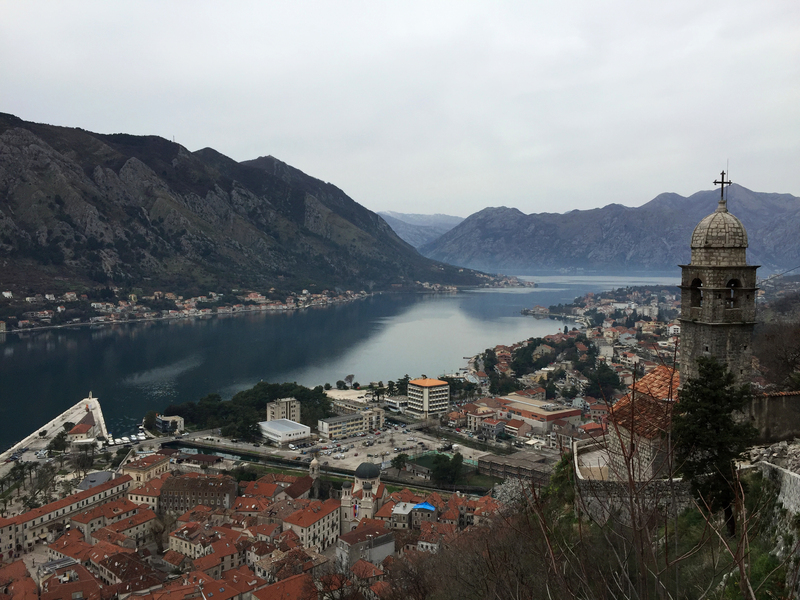 However, we did manage to drive around the bay and see a couple other towns (see a view from stormy Perast, Montenegro below). After only spending 2 days in Kotor, Montenegro, I could understand why the Lonely Planet has named it the top city to visit in 2016. You will see very few tourists. Climbing the fortifications on the mountain of St. John is free (during off-season). Many shops, cafes and restaurants are closed from November-February. A few were just starting to open when we were there ate the end of February. Dining options in the old town may be limited. Kotor loves cats. There are cats everywhere and the city even has a museum for cats. It takes about 10 minutes, at most, to walk from one end of the old town to the other. Winter of summer, tourist season or not, you will be mesmerized by what the city has to offer. Great little read, i visit Montenegro in September then head over to Croatia and don some Island hopping. This has given me some useful tips! Thanks for reading, and I hope you enjoy Montenegro! It was one of those places where I had to pinch myself to remind myself that I was awake and this beautiful place was 100% real. Thank you! I hope you enjoy your trip! It’s even more beautiful than it looks in the pics. I’ve been tempted to book Kotor and am even more so now! Thank you for stopping by and taking a look! Do it! Kotor is incredible. This is stunning! I can see why you wanted to go. Your blog is definitely adding more stops to my retirement world tour! It really felt like you were in another world. You should definitely go when you get a chance. And thanks! Thanks! I think this is a place that looks beautiful during all seasons. Even though it was much cooler at the end of February, the 17 degrees were a pleasant change from -17 Sweden. Balkans is defiantly a place I want to visit sooner rather than later! 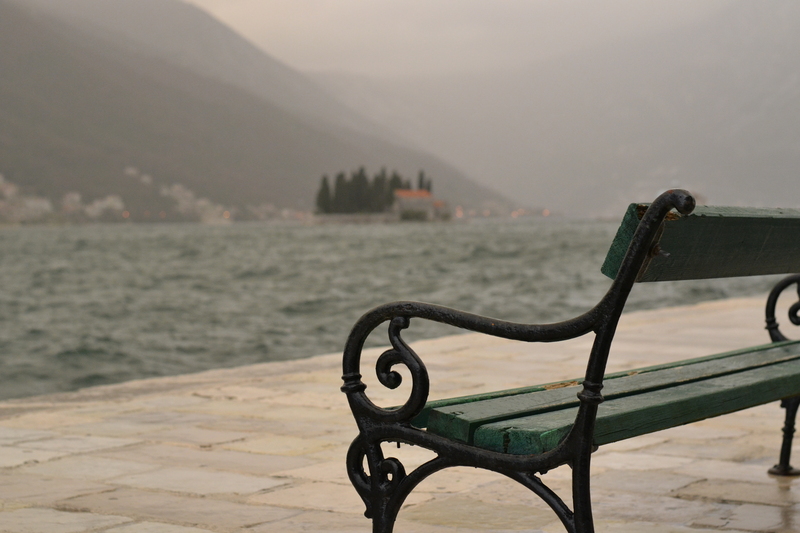 I would love to do a trip to Montenegro… Looks wonderful! It was incredible! I truly wish I could’ve spent more time exploring other cities in the area too. I also just checked out your blog. It’s amazing! I’ll be reading through it for my future trips! I loved Kotor and the nearby monastery on the island. Such a beautiful city and countryside too. I do remember that climb up the steep steps above Kotor but well worth the effort for the views. I only saw the monastery on the island from a distance. Did you have a chance to visit the island? It really looked beautiful. And climb up the fortress is definitely worth it.